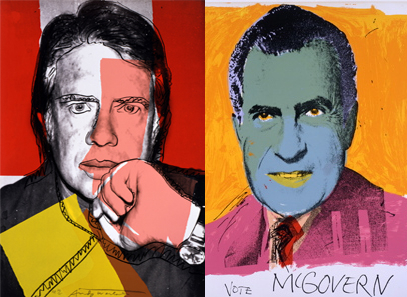 Love him or hate him, Andy Warhol was just the latest in the long line of artists documenting our times. 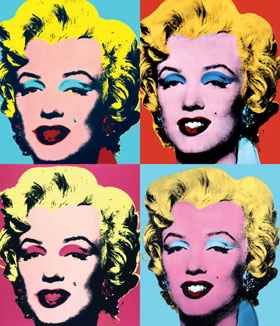 Warhol presents these images in wild colors. They are silk-screened, an ancient method of print-making using stencils and ink on silk. Many of his works are huge in size. The colors, the odd blurring of lines, the uncompromising images startle us. 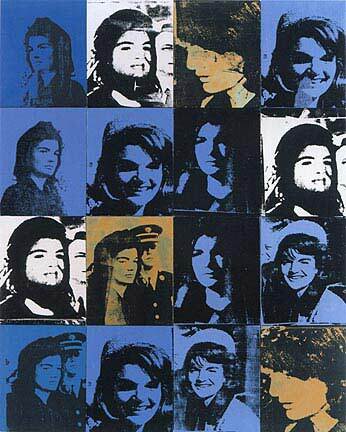 We, the viewers, first see Andy Warhol’s art. Then we experience history, our own history. Watch Andy Warhol in Action! Click here if unable to view the video. I neither “love” nor “hate” Andy’s art. I find him unique and provocative, but I’m afraid he’d even be surprised to have someone label him “sophisticated”. Interesting presentation of Warhol’s work. I am not a big fan but have found the eccentricity, uncommon use of color, and subjects fun. Maybe just a bit too far out there for me to grasp. 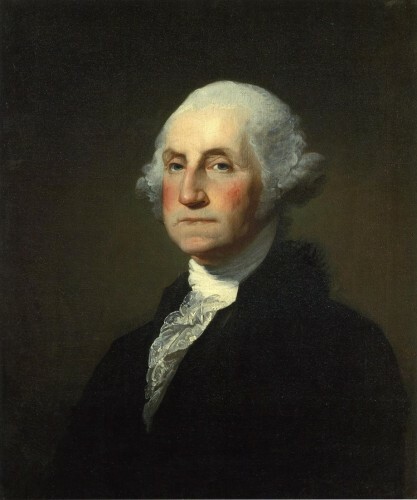 None the less, he is popular among many and a commercial success. Not a fan of Warhol, but the melding of graphic art, comedy, cynicism, and strong emotion truly document those aspects of modern life. Thanks, Kirby, for making us think! The short video spoke world’s to me about Warhol’s passion, talent and commitment. A great inspiration. Thank you as always for wonderful shadings. I just have to repeat it. Art teaches us to see and not just look. Warhol certainly did that! Keep making us see, Kirby! Art teaches us to see and not just look! Warhol certainly did that! Thanks Kirby for making us see! This is wonderful , thank you so much, I shared it on my Facebook page …. thank you once more and blessings. Thanks Kirby. I had no idea! Personally I had not particularly enjoyed Warhol, but I will appreciate him much more now. You’re always so good at broadening my take on all kinds of art, and that’s a blessing. I’m not convinced, Kirby. Does he represent a conflation of fine graphic design mixed with sociology (e.g., documentation of a culture at a point in time)? Is this truly ‘art’ as we think of it: do we find the same transcendence as in Rembrandt? The mysterious beauty of Leonardo’s Virgin of the Rocks? The artistic outside-the-box innovation of Manet or Monet? Let’s let Warhol stew in the crucible of time and suspend judgment.